Casting has been announced for the Los Angeles engagement of the Tony, Grammy and Olivier Award-winning hit musical “Jersey Boys,” the story of Frankie Valli and The Four Seasons, previewing May 16 and 17, opening May 18 and continuing through June 24, 2017, at Center Theatre Group/Ahmanson Theatre. 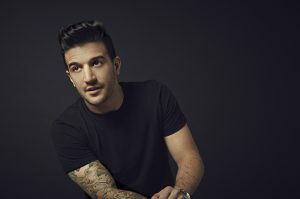 Mark Ballas will reprise his hit Broadway performance as Frankie Valli for the Los Angeles engagement of the tour. Ballas, known for his Emmy nominated work on “Dancing with the Stars,” made his Broadway debut in the role last fall (October 18, 2016 – January 15, 2017). Critically acclaimed ‘Frankie veterans’ Aaron De Jesus and Miguel Jarquin-Moreland will play Frankie Valli at certain performances during the week. The cast of “Jersey Boys” will also feature Matthew Dailey (Tommy DeVito), Keith Hines (Nick Massi) and Cory Jeacoma (Bob Gaudio) as The Four Seasons, with Barry Anderson and Thomas Fiscella. Directed by two-time Tony Award-winner Des McAnuff, “Jersey Boys” is written by Academy Award-winner Marshall Brickman and Rick Elice, with music by Bob Gaudio, lyrics by Bob Crewe and choreography by Sergio Trujillo.